If you’re committed to investing in a Canon camera, then you’re probably wondering what is the best Canon DSLR. In this guide, I’m going to breakdown the pros and cons of some of the most popular buying choices when it comes to Canon DSLRs. I get asked this question a lot – What Canon camera would be the best for shooting videos? There’s no one size fits all recommendation. As you’ll come to see in this guide, there’s a Canon DSLR camera for just about any situation. And what you opt for really depends on your wants and needs. As well as your budget, of course. Listed below are the current best Canon DSLR cameras, many of them with large improvements from their predecessors. And all of them solid cameras in their own right. 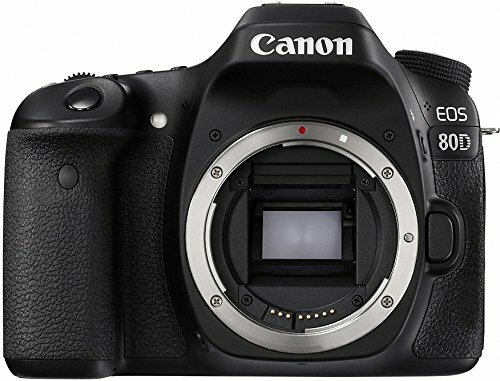 One of the best Canon DSLR cameras in the market is the Canon EOS 5D Mark IV. Yes, this is the younger (but ever so charming!) brother of the Canon 5D Mark III (mentioned later). It’s also a distant cousin of the camera that started off the whole DSLR video revolution in the first place, the awesome 5D Mark ii. Now, I don’t intend to make a chronological order for which Canon cameras I want to rate from top to bottom, but I really wanted to highlight this camera as the first one I chose. Why? It really has stunning performance. With use of the view finder, you get more information about the configuration. For example, the metering mode, white balance, autofocus and drive modes. This is good because you can make revisions to your config without detracting from the view finder. The autofocus feature is quite advanced. It depends to a certain extent on what lens you are using, but the standard is that it has 61 AF points. It’s also easy to switch the autofocus points without having to move your eye from the camera. Flicker frequency of 100Hz to 120 Hz to detect light sources and to be able to capture with good light, and adjust for less flicker effects. High tracking accuracy – because of the EOS iTR AF system, your target moving image stays focused throughout. 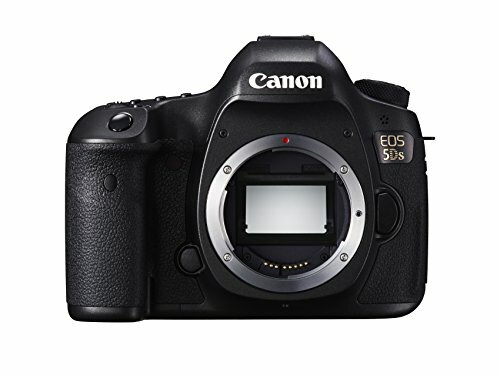 The Canon EOS 5Ds is part of the legendary 5D family produced by Canon, which has always been the premium standard for Canon cameras. 6 megapixel full-frame CMOS sensor. 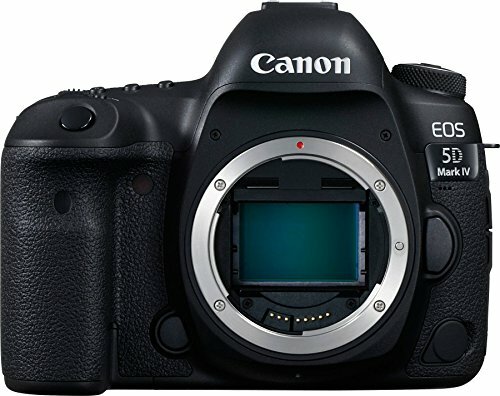 This is the highest sensor for the EOS family that has ever been released. Effectively, it captures 8712 x 5813 pixels, and is a recommended camera for High Definition output and (on the photography side) large-scale printing. Advanced mirror control mechanism and shutter release time lag – which helps with avoiding blurry images because of unsteady hands or quick movements that affect the camera footage. This camera is driven by a small monitor. It also has an awesome feature that lets you change camera settings in the view finder. Always handy, and something that was lacking from the earlier Canon EOS models. EOS Scene Detection System with RGB + IR Metering Sensor: with about 150,000-pixel resolution. Makes quick adjustments in composition with the 61-Point High Density AF with up to 41 cross-type AF points. Supports full HD 1080/30p movie capability and Time Lapse Movie function, which can take still photographs and be combined into a movie. In fact, even during recording of videos, this camera can also create still images! It does come out pricier than the Canon EOS 5d Mark IV. 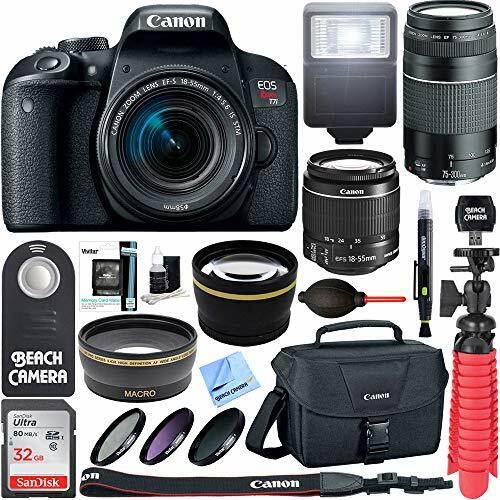 Definitely, if you are serious about your videography, then you should consider splashing out for this Canon DSLR camera. I talked earlier about the Canon 5D Mark IV, the later version to my next recommendation, the Canon EOS 5D Mark III. It has strong key features that still make it stand out, even when there is a newer model in the market. And, of course, price wise it makes a less hefty (on your bank balance!) entry into prosumer models of Canon DSLRs. 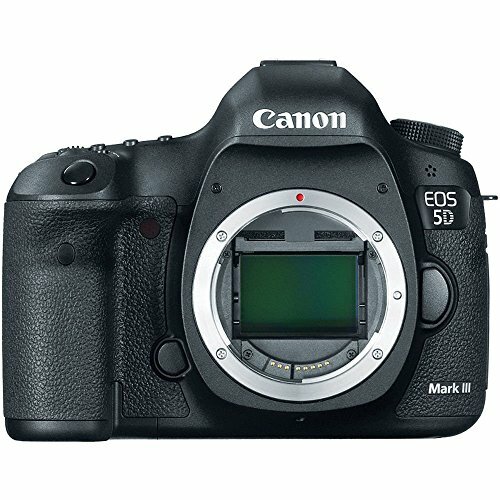 As most videographers know, the 5D Mark III took the best features of its baby brother, the 5D Mark II, and improved upon them. Canon listened to their audience of videographers and created a camera that became the next level in DSLR video shooting. Great for corporate/promo work, as well as event shooting, the Mark III has become a lot of filmmakers’ go-to video DSLR. These features are also a definite upgrade to the Canon EOS 5D Mark II. Especially the increased maximum shooting range to the AF sensor – from 9 points to 61 points, and the multiple exposure feature. This camera has gone a long way, and it can definitely be expected to hang around in most people’s picks as a top Canon DSLR without being seen as obsolete. When it comes to being able to capture good images on something moving fast, you want to get the Canon EOS 7D Mark II. It is truly an award winning camera. This Canon DSLR boasts an APS-C sensor with shutter speed of up to 1/8000th second, and rated to 200,000 cycles. 20MP Dual-Pixel AF CMOS Sensor. 10 fps continuous shooting with autofocus. 65 all cross-type autofocus sensor. 150,000 RGB + IR pixel metering sensor. Enhanced environmental sealing. Important if you’re shooting doc (or even event) stuff where the weather might not always be on your side! Compact Flash (UDMA) and SD (UHS-I) slots. 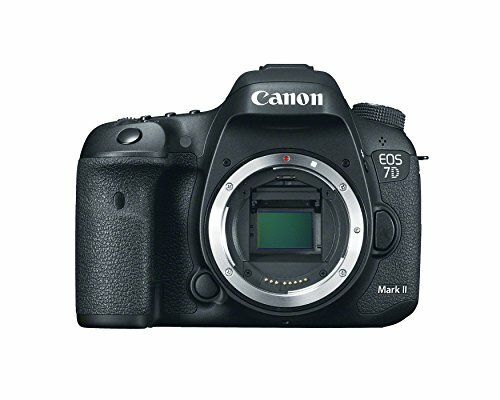 This is the latest version of the 7D Mark series, with the Mark III anticipated to come out soon. But, despite that, you don’t need to wait for the upgraded version, because this camera comes out incredibly strong. Aside from that, the new release will surely be a bank breaker! The Canon EOS REBEL T7i is a great DSLR camera for videographers who don’t really want to deal with all the manual settings of a pro DSLR camera. This is certainly more of an entry level Canon DSLR, rather than the pro level cameras listed above. Outside of the US, it is often known as the Canon EOS 800D, but they are essentially the same thing. It came out in 2015, but is still a favorite of many people, especially for videographers who are starting out in the business. Image quality is very high and the user can easily shoot good cinematic level Full HD movies. Comes with Hybrid CMOS AF III, that can track movement and keeps the focus smoothly on the subjects. This has a polycarbonate finish, not the magnesium alloy of the more expensive cameras. The dynamic range is limited. Does not have 4K video options. For a beginner videographer, this would be a great camera to start out with. It is also priced really well, just under $1,000. Perhaps, though, this price range is because of the lower quality of the body. The body of the camera is made of polycarbonate, rather than the other Canon cameras of Magnesium alloy. 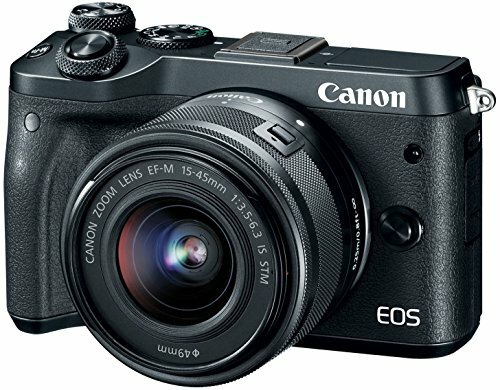 Focusing on being a compact camera, the Canon EOS M6 has a fantastic and affordable price of less than $800 for the body. Not strictly a DSLR, but included here as it’s a solid beginner Canon camera offering. It comes with a lens-based type of image stabilization, with up to 1080p for videos and a 24AMP ASP-C sensor. An optional viewfinder, as well as a dual-focused Auto focus feature for video enthusiasts, and retains the high quality of the famous Canon color delivery. Beginners, or more simple videographers, can use this camera easily, without discarding the experience of using a Canon digital camera for video purposes. This camera is similar to the EOS 77D with a much lighter body, but a more limited selection of lenses. This camera might be an option for something like a second camera for professional videographers shooting events. But, overall, it’s firmly an entry level camera. Limited buttons for customization and overall image control. Fixed shutter speed of 7fps. It does not have the multi-function mode dial option that easily adjusts the options on other cameras. A quality upgrade from the 70D, one can definitely see new features and improvements from its younger brother. With the knowledge and expertise of handling DSLR cameras, a veteran Canon user will find a lot of benefits with this camera. Those who are more familiar with Canon cameras would appreciate the improvements. It doesn’t give off much noise at all, performing very well even in low light. Its 24.2 MP are one of the best in class for its price point. This camera also has an excellent screen with a very quick and responsive AF system, and has a good point focus. The body of the camera is a mix of polycarbonate and magnesium alloy. This camera is known to be one of the better choices for video, as the video outputs have a better range than its predecessor, the 70D. With the option of 1080p/60p possible, and complete autofocus feature while capturing videos, this is a very attractive entry level DSLR option. Also, for a much better sound capture than lots of other DSLRs, a headphone socket feature has also been placed to augment sound, so that the videographer can give more attention to what’s coming in audio wise. While the AF system is fantastic, it may need more expertise before getting used to. If you’re an experienced videographer, then have at it! Its quick menu is not customizable. The full frame is not possible. In the past, I wrote an article on what are the best Canon lens to get for videoshooting. If you’re hunting for a new camera, hopefully this article on the best Canon DSLR helps you find your next camera body to fit lenses that you already have. Much like how a lens’ performance varies depending on the situation and setting, it’s the same with Canon cameras as well. So, how curious are you to know what camera to get to match the lenses you have found, or vise versa, – what camera should you invest in, and then what lenses to get? This may sound like a chicken and egg situation. But, really, you have to just focus on what your vision for video shooting is and ensure that it matches with your budget. You will find out that the prices of Canon equipment tend to be a bit pricier than other competitors in the market. But trust me, I have a lot of experience with using cameras and selecting lenses, and I have always found Canon cameras to be worth my money. Every single time. Canon cameras last a long time, too. They age well and a solid Canon camera purchase now will last far into your shooting career, regardless of what new cameras come on the market. Also, do not discount the features of older cameras, and consider them obsolete, they still remain a more affordable option rather than always splashing out on the newest models. In Conclusion — Which Canon DSLR should you buy? the level and type of features on each camera. Over time, you as a videographer will be able to narrow down your niche, and be able to precisely look for what features are important to you. By referring to this list of the best Canon cameras, you will likely be able to find a camera that fits your needs and budget. And, hey, if you ever want to upgrade from DSLR camera shooting, you can always consider Canon’s amazing Canon EOS C100, which was really designed as the next level up for video shooting with Canon cameras. Enjoy shooting with your new Canon DSLR camera!